INDEVCO Group representatives will meet new prospects and learn about the whole packaging chain, from raw materials to finished products, at EMBALLAGE 2012. 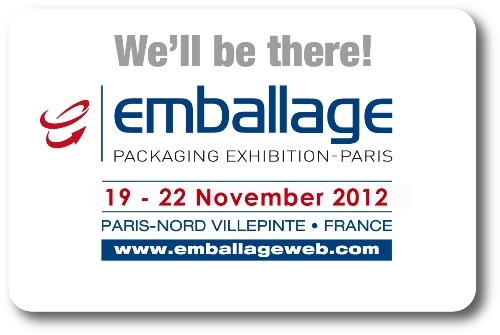 Representatives from INDEVCO Group, INDEVCO Paper Containers companies, and the Continental Europe Sales Team from INDEVCO Flexible Packaging Division, will attend EMBALLAGE2012 from 19 - 22 November 2012. The international packaging exhibition will take place at Le Parc des Expositions, Paris, Nord Villepinte. INDEVCO representatives with more than 89,000 professionals from 95 countries around the world will gather at EMBALLAGE 2012 to discover new packaging trends, techniques and innovations. INDEVCO Paper Containers, a division of INDEVCO Group, specializes in corrugated packaging and operates in four manufacturing plants in the Middle East, North Africa and Europe. INDEVCO Paper Containers packaging services include flexography (pre-print and post-print), offset printing and finishing techniques from lamination to varnishing, serving the agriculture, beverage, chemical and petrochemical, dairy, hygiene disposables, industrial, pharmaceutical, processed food and soap and detergent sectors.